2014 MINI COOPER COUNTRYMAN Printer Friendly Flyer. 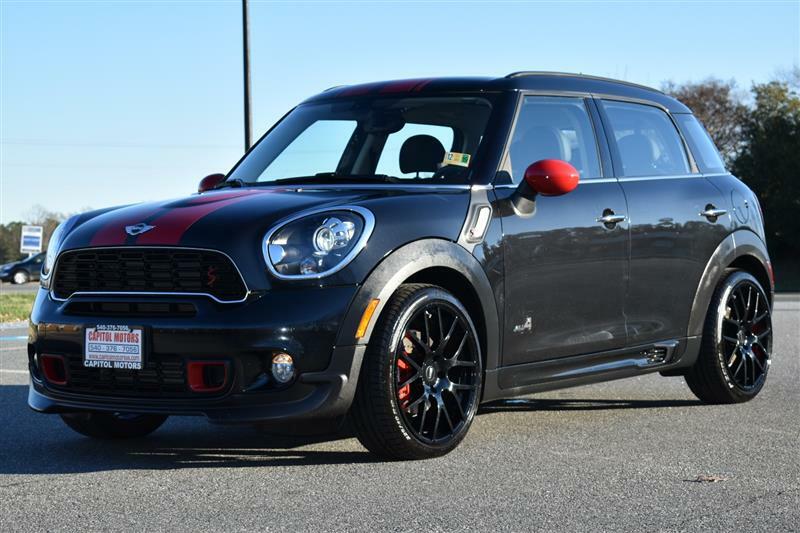 2014 MINI COOPER COUNTRYMAN with a 1.6L I-4 16V DOHC Turbocharged engine and driven only 34551 miles! This all-wheel drive, four-door Mini Cooper Countryman may be the perfect car for you and all your needs. The easy to use steering controls will give you access to make phone calls or adjust your cruise control without becoming distracted. Always see in the worst weather with the bright and powerful fog lights. The Bluetooth connection will allow you to listen to your favorite songs or make phone calls on the go. Get that extra bit of power you want with the Sport mode. Get some fresh air and overhead sunlight with the dual sunroof. Keep yourself warm and cozy in the colder months with the heated leather seating. This vehicle is even CARFAX CERTIFIED! Extended warranties are available! FINANCING IS AVAILABLE! Discounts are available for military personnel and first responders! Contact our Sales Team at 540-376-7056! They are waiting for your call today!